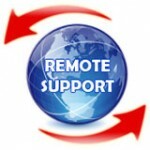 Our same day residential computer support services are second to none. With over 25 years of supporting computers and information technologies, we were there when computers began to become business necessities and household items and we have continued to supply our customers with quality same day computer support and information technology support services. 85% of our clients are repeat or referral business. This should speak volumes. We offer our residential clients the following services: Same day onsite computer service and support, Remote service and support, Email and phone support, Same-day service, Low hourly rate, Virus removal, Spyware removal, Computer diagnostics and repairs, Guaranteed response times. Servicing central New Jersey our services are guaranteed and highly rated.